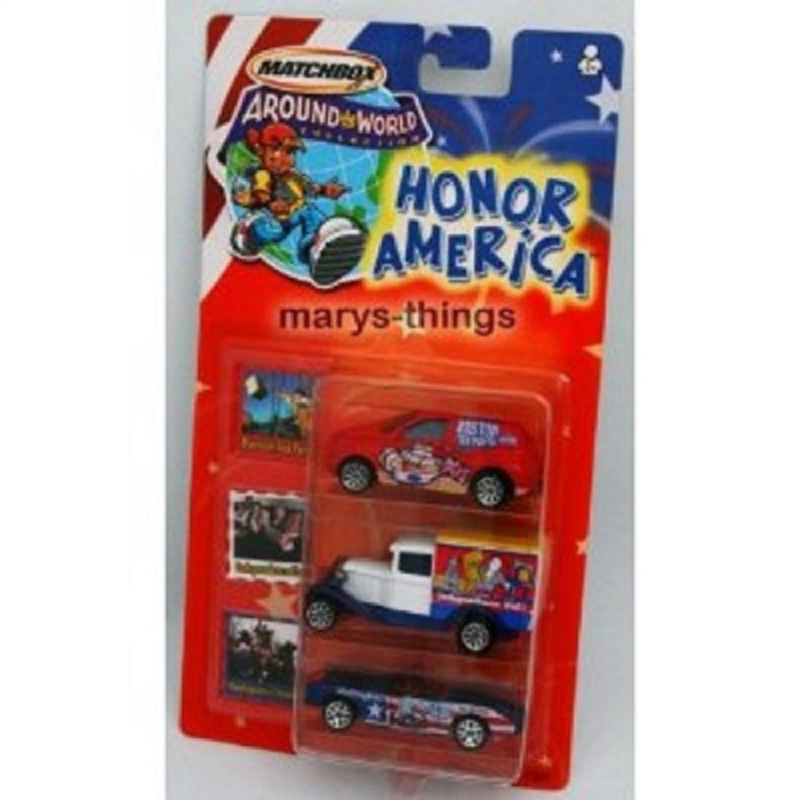 MATCHBOX AROUND THE WORLD HONOR AMERICA 3 CARS New! You also receive 3 Colorful sticker stamps - 1 for each car! These vehicles and collector stamps are not available in any other Matchbox Around the World collection! Brand new and never removed from a MINT package!